I received these Wüsthof knives for review and all opinions are entirely my own. 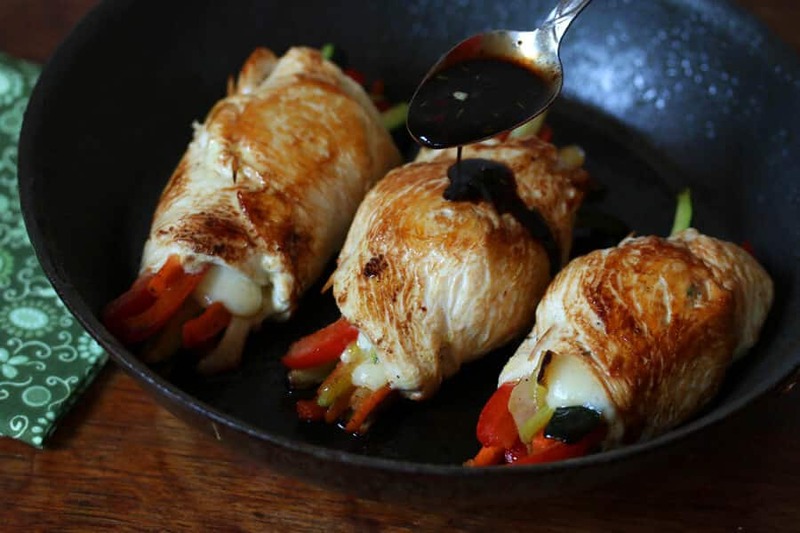 Tender and moist chicken roll-ups filled with vegetables and oozing cheese then drizzled with a flavorful balsamic glaze. 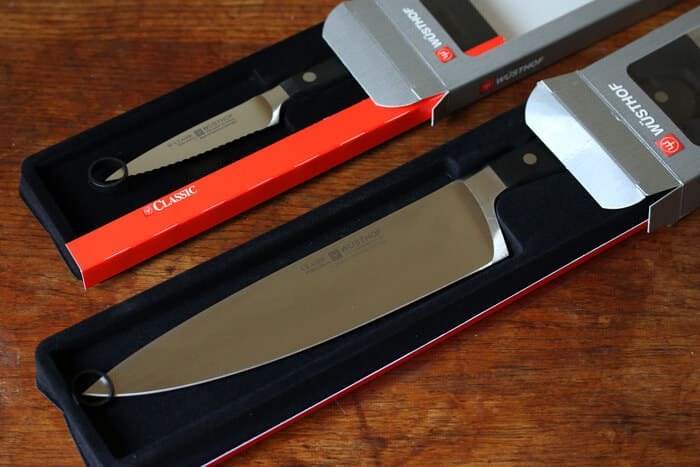 PLUS I have an awesome GIVEAWAY for you – a Wüsthof Classic 8-inch Cook’s Knife (a $129.95 value)! Something my mom always taught me growing up is that it’s better to pay more in the first place for quality than to pay less for inferior quality items that will fall apart or break and need replacing. Because in the end, you’ll end up paying more for the cheap stuff – and wind up with a lot of frustration. I’ve learned that many times over and I’ve come to appreciate that wisdom even more through the years. Whether it’s the sweater that starts unraveling after it’s been washed a couple of times or the poor decision we made a few years ago to get a bonded leather sofa set for our formal living room that was sat on literally 5 times before it started bubbling and peeling rapidly (and, of course, it turns out that “bubbling” isn’t covered under the paid extended warranty…you all know the story). So there was over a thousand bucks flushed down the toilet when it could have been applied to a more expensive solid leather set would have lasted us many years. Lesson learned. So I’ve learned to recognize and value quality when I see it. And today I’m sharing some high quality German-made products with you, one of which one lucky winner is going to receive! Here are the three items we’ll be looking at today and I’ll be putting them to work preparing our featured recipe: The Wüsthof Classic Full Serrated 3 1/2 inch Pairing Knife, the Wüsthof Precision Edge 4 Stage Knife Sharpener, and our awesome giveaway knife, celebrating the company’s 200th anniversary – the Wüsthof Classic 8 inch Cook’s Knife. Let me say from the get-go that I’m in love with these knives. Now, I’m from Germany and so you could say I’m biased towards German products, but there’s a very good reason why Wüsthof has been the name in knives for two centuries. 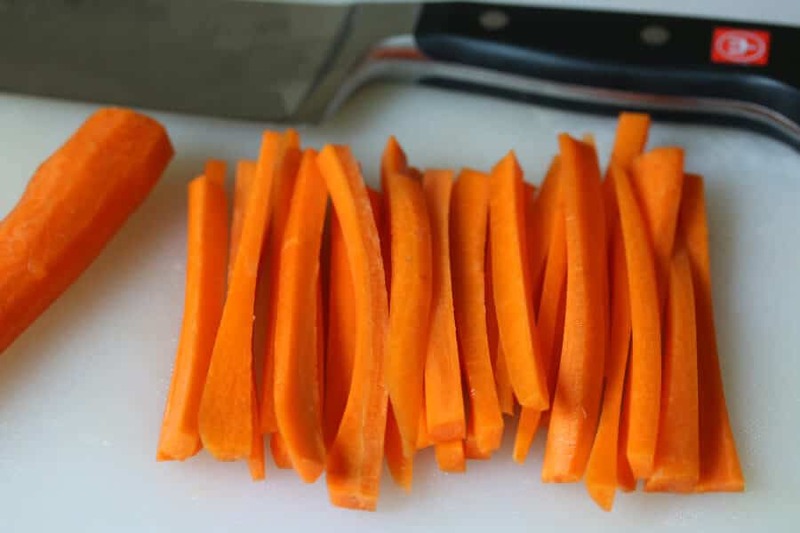 A good quality knife is indispensable for any cook. A cheap quality knife is both frustrating and dangerous. You need a knife that can hold a really sharp edge. The most dangerous knife to use isn’t a razor sharp one – it’s a dull one. Some of you may remember Julia Child’s little speech on that. These Wüsthof knives make my life in the kitchen so much easier, and more enjoyable. And for any of you still looking for a great Christmas gift for someone you love who loves cooking, look no further. I’m not kidding, the gifts I request the most from my husband are kitchen gadgets. I get giddy with excitement over new kitchen items. A few years ago my husband got me several different Parrish Magic Line baking pans for Christmas and I was in heaven! American made, hand-forged heavy gauge aluminum, I’m in love with them. Those pans will last me the rest of my life. And so will my Wüsthof knives. That’s what quality is all about. It saves you money in the long run and makes life easier and more enjoyable in the short run. So seriously, do yourself or your spouse a favor and get a Wüsthof knife. And the perfect all-purpose knife is the Classic 8-inch Cook’s Knife. And right now you can find a 200 Anniversary edition of the very same knife for $89.95 compared to the usual $129.95! So let’s take a closer look at these knives. I recently prepared these Balsamic Glazed Cheesy Chicken Rolls that required me to cut chicken breasts into thin slices. As you probably know, chicken is a beast to work with when it comes to achieving thin, clean slices – unless you have a really good knife. This was the perfect opportunity to take my new Wüsthof Classic 8-inch Cook’s Knife on its maiden voyage. The Cook’s Knife is precision forged from a single piece of high-carbon stainless that hand-honed for razor-like sharpness and is resistant to stains and corrosion. Employing Wüsthof’s Precision Edge Technology (PEtec), it ensures a 20% sharper blade with twice the edge retention. 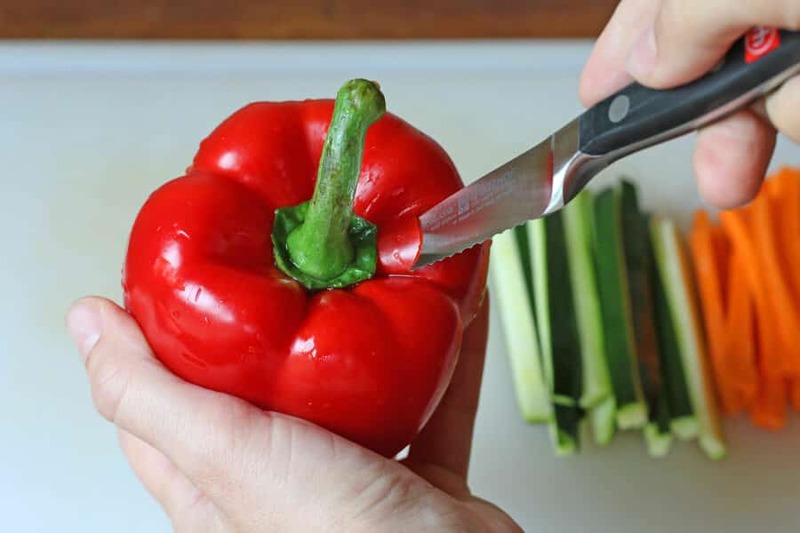 It’s durable polyoxymethylene (POM) handle provides a comfortable grip and the knife is full tang and triple-riveted to the handle for strength, control and durability. The first time you hold the Cook’s Knife in your hand you’ll know it means business. 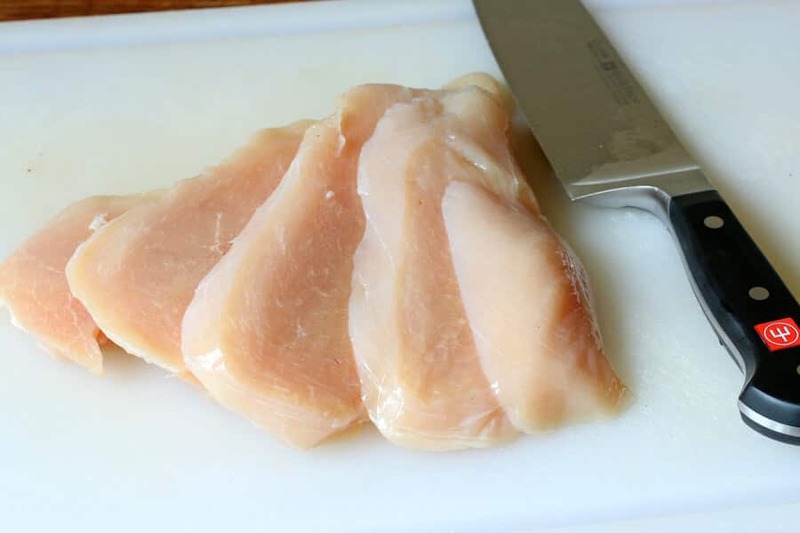 I put the floppy chicken breast on the cutting board and lowered the knife. 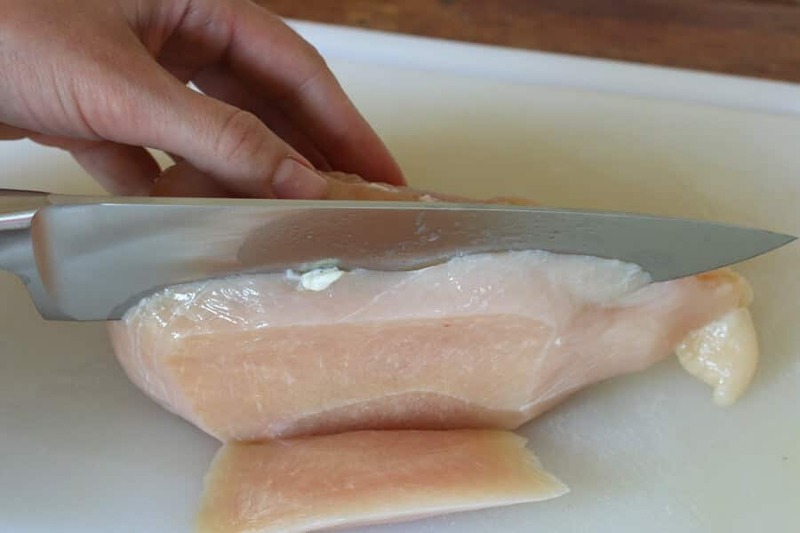 This knife slides right through the chicken without having to apply much of any pressure – it glides through the chicken as if it were a stick of butter. Seriously, I nearly wept with joy. It’s a beautiful piece of steel. 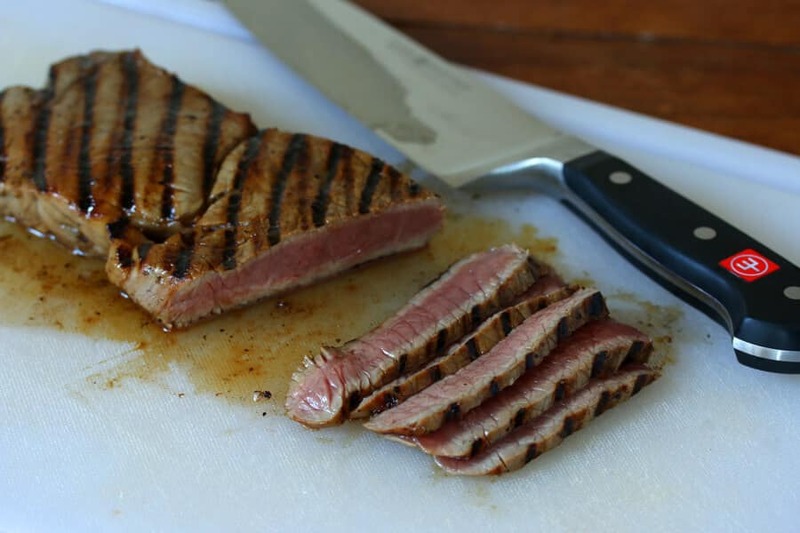 I tried it out on another dish the next day, one where I needed thin slices of medium-rare beef. Perfection. I love this knife. The chicken dish also involved cutting up vegetables julienne-style. It performed beautifully with each type of vegetable: Carrots, zucchini, onions, bell peppers. And for chopping…same story. It’s awesome. For this dish I also used the Wüsthof CLASSIC 3.5-inch Fully Serrated Paring Knife. It has the same specs and quality as the Cook’s Knife. Mincing garlic or peeling an apple has never been so fun. I was a little skeptical at first because the knife is serrated. Serrated knives are perfect for things like tomatoes, but I thought it would catch on some of the less fleshy items. It didn’t. Super sharp and easy to maneuver, this is one serious little knife. It’s an excellent all-purpose pairing knife and I use it all the time. 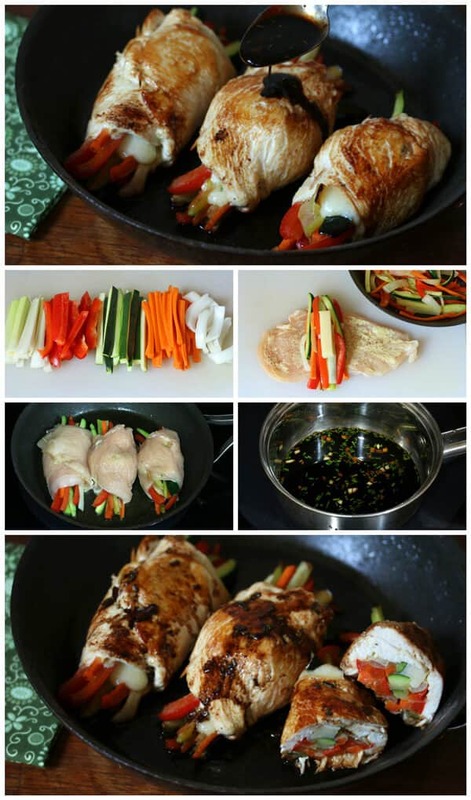 Preparing these chicken roll-ups was a breeze with my Wüsthof knives. Now, any good knife requires some maintenance and you’ll need a good sharpener. 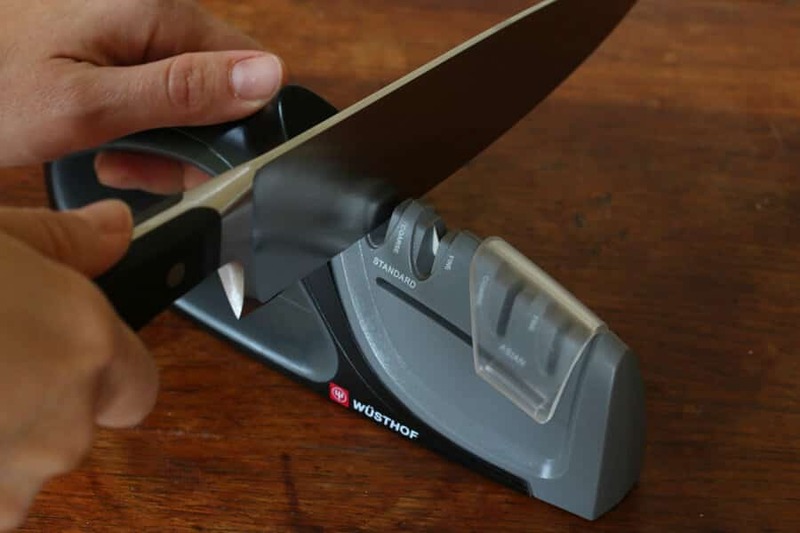 The Wüsthof Precision Edge 4 Stage Knife Sharpener sharpens both standard and Asian style knives. It has hard carbide steel blades for coarse sharpening as well as fine ceramic rods for honing. The construction is good and the bottom is rubberized so that it stays in place while you’re sharpening your knives. The grip is firm and I’ve had no problems with slippage. If you’re going to purchase the knives, I recommend getting this sharpener along with it. Oh, but first…interested in the recipe for this mouth-watering dish I developed for Tablespoon.com? 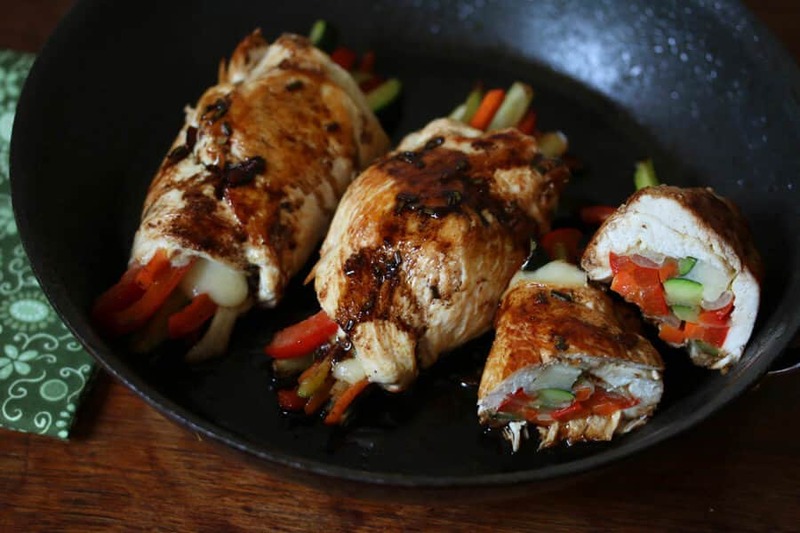 Come grab the recipe for these delectable Balsamic Glazed Cheesy Chicken Rolls! And if you’re really diggin’ these roll-ups, be sure to also check out my Balsamic Glazed Steak Rolls! Retailed at $129.95, would you like to win this knife? Then enter below for a chance to win! Disclosure: Wüsthof provided me with two knives and a sharpener to facilitate this review. I was under no obligation to write a positive review. As always, all opinions are entirely my own. I would love to win this knife because I love to cook and the knifes I have are not of the best quality and these knifes are so professional it would help me to cook more delicious food! 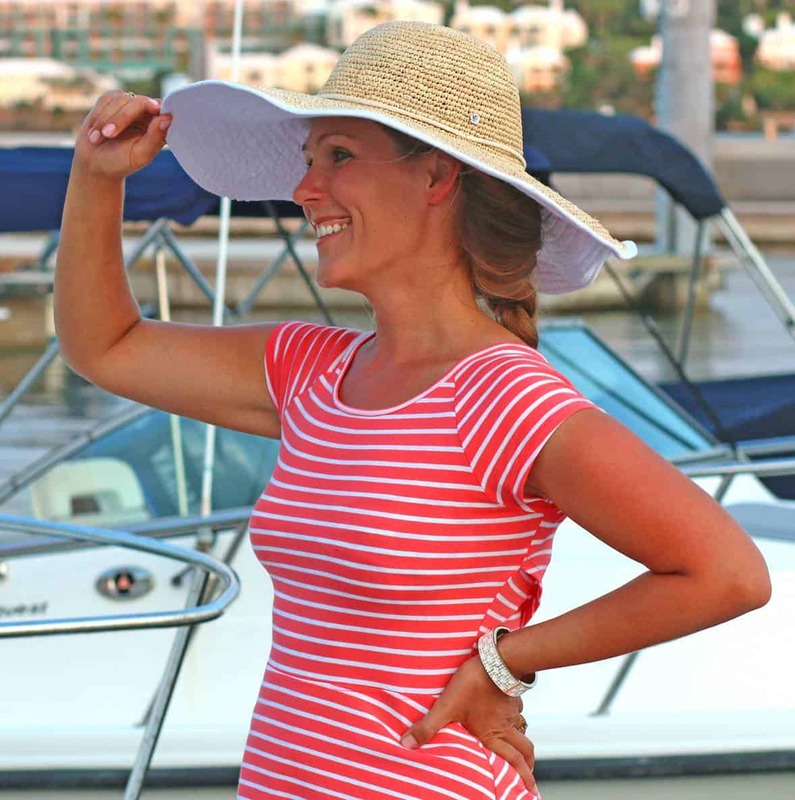 I Love your blog, I stumbled across it looking for German recipes and found so much more…. I already have a Wüsthof pairing knife and I love it. The chef’s knife I’m using now is a $10 knife from bed, bath, and beyond. A good chef’s knife is expensive but a necessity for anyone serious about the culinary arts. I’ve only recently been learning about the joys of a nice knife. This would be so amazing to have, thanks for the opportunity Kim! Been following you ever since my son told be about how good the Gambian Peanut Stew was. One of his classmates cooked it and took it to one of his college classes for a project they had to do. Agree it’s delicious. i LOVE to cook and I use quite a few of your instructions. Good knives would help tremendously. I love cooking but am lacking a good sharp knife to add to my repertoire! A good quality knife can make all the difference in your ease and enjoyment of cooking. Thanks for the chance…fingers crossed. This would be so helpful in the kitchen! I would love this knife because I’m learning to be a better cook and I think a good knife would help me in meal preparations. I would love to win the knives. I watch cooking programs when I’m on the treadmill. Yes, I know that’s crazy. But excellent cutlery makes the preparation look effortless~! I know they would help with my ease of preparation. Wusthof knives are the best! I had the pleasure of using one in a cooking class and have been dreaming of having one of my own. Thanks for the chance. A great knife is the best for a great cook! Balsamic chicken sounds great. Looks amazing! My husband sold knives in college and loves wonderful knives in the kitchen. I would love this knife. 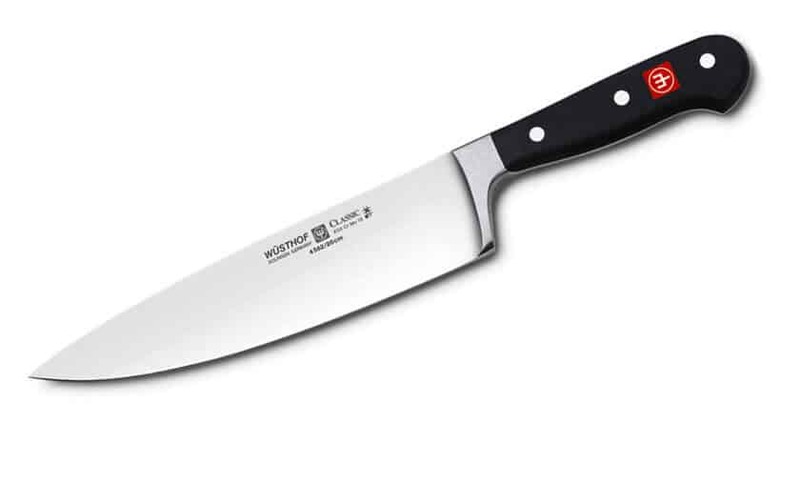 I would like to have this knife because it would complete my Wusthof knife collection – I have a santoku and 2 paring knives, which I really love, and need a good chef knife to go with them. Working with a knife of this quality would be wonderful! 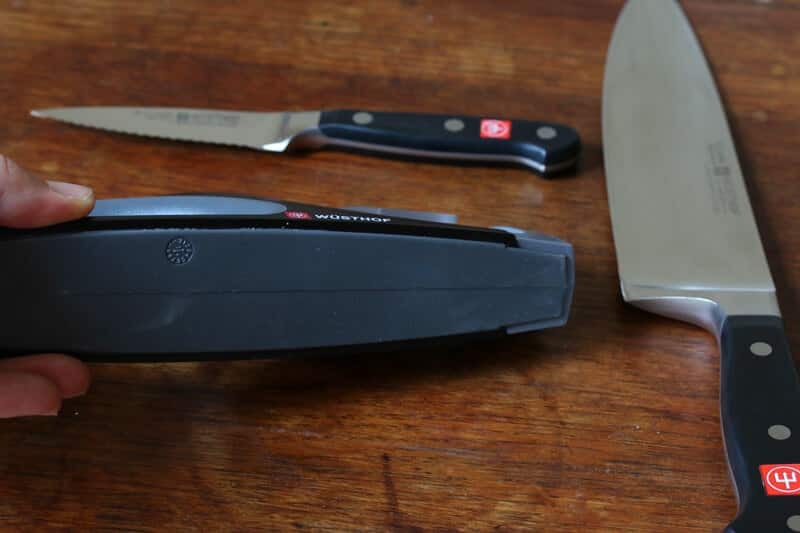 I cook a lot and use a very small Wusthof parer for most of my cutting. This one would be a huge improvement. I’ve pretty much worn out my current knife. This Wusthof knife is a beauty! I would so adore to have a new chef’s knife. My standby knife is getting very worn and the handle is cracked. 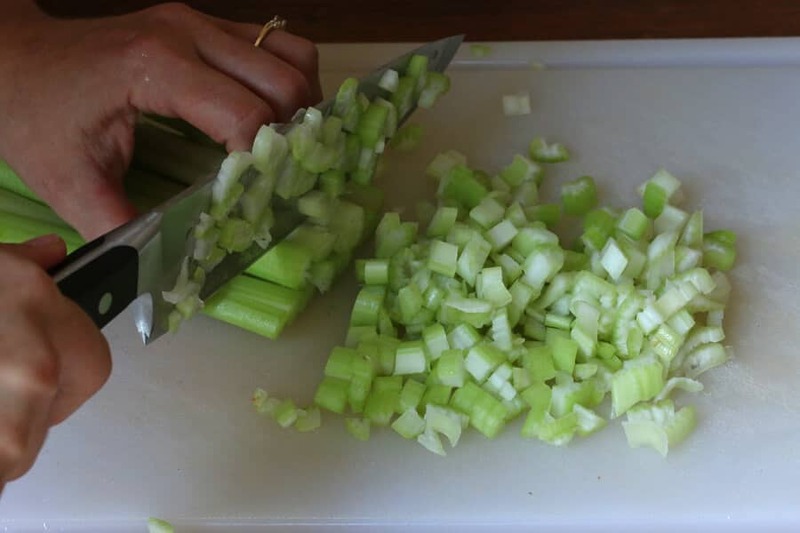 I got dull knives that make it hard to cut my veggies, so I would love a new one to make chopping a breeze! There’s nothing more frustrating in the kitchen than working with a dull knife. I need a top quality knife that will keep its edge. I would love to win this knife cause could really us a good knife that actually cuts and works. I have so many knives and none seem to get the job done. 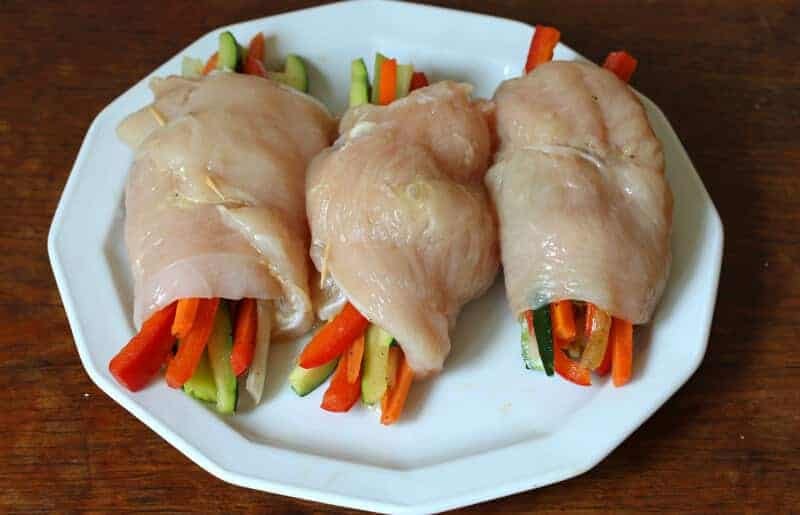 I need a good knife to cut through raw chicken. I’ve never tried a Wusthof but I appreciate good quality knives and would really like to have one of these. I have not ever heard of these knives, but like everyone else I love a good knife and sharpener would love to win ! I just found your site when looking for a recipe for au gratin potatoes. Loved the recipe! I spent much time on this site looking at all your delicious recipe’s. Cannot wait to try them! I admit I am not the best cook but I am trying! I would love to win these knives!